The 2017 Cotton Bowl featured two of the great bands in the country, the Wisconsin Badger Band and the Western Michigan Bronco Marching Band. These two band programs took Dallas by storm and wowed crowds all week long leading up the game, but they saved their real fireworks for halftime. We scoured the interwebs to find you the best versions of halftime from this game that exist online. 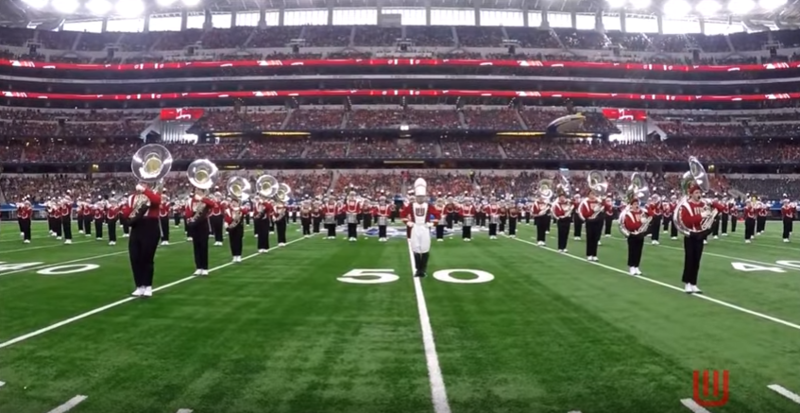 Take a watch as these two great bands wow the Cotton Bowl crowd inside Jerry's World.